Nikki Sivils and Basically Bare Blog Swap! It's day one of the Nikki Sivils and Basically Bare Blog Swap! The Nikki Sivils DT was given lots of Basically Bare products to work with. I love this Wonky Windows album and chose to create an album of our vacation last year with the Basically Bare album and Nikki Sivils "Exit Here" papers. And it wouldn't be a blog swap without PRIZES!! Keep reading to see how you can win some Nikki Sivils and Basically Bare goodies! 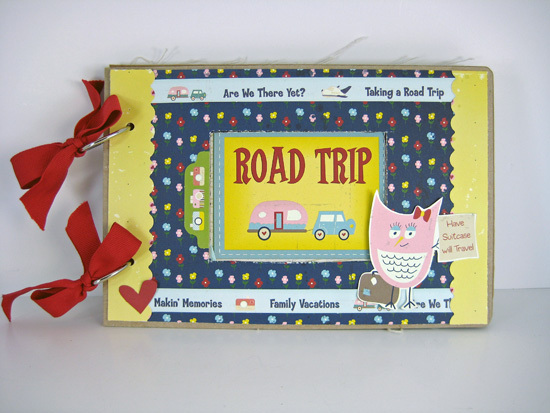 I covered the album with lots of papers and embellishments. I painted the Basically Bare chipboard sun and added some buttons to it. The cloud is also from Basically Bare. This is a fabric page. So fun! That's it for my Basically Bare and Nikki Sivils project! Thanks for coming by! 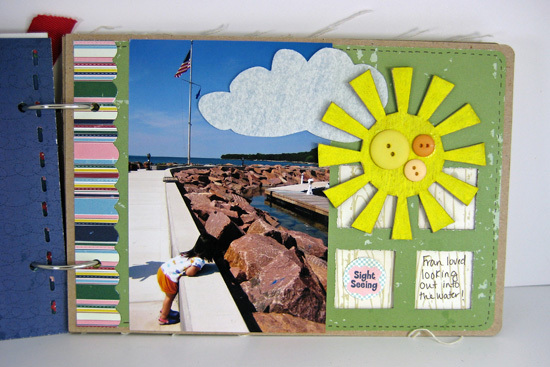 Please check out the Nikki Sivils blog for more projects today and tomorrow. And there are PRIZES! Leave a post on both the Nikki Sivils blog and Basically Bare blog to win. There will be a drawing today and tomorrow. I have a few new things to share today! First up is some new Nikki Sivils using Messages. I can't get enough of this line! I used a sketch from Allison Davis for this sketch. You can find out more about her sketch books HERE. I had this one in mind for a while. I like to write down all my girls' favorites things to say every once in a while. I have two pages like this for Fran too. and I also created a card with Bo Bunny! I used Hello Sunshine. I love the little bees in this line! 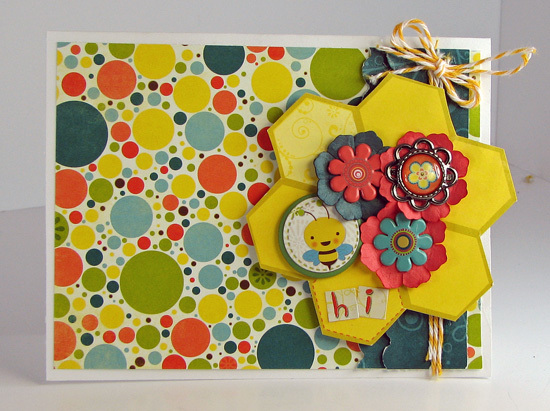 I adhered the bee circle sticker on top of a button to make my own charm on this one. Thanks for coming by tonight! New Bo Bunny has arrived! The new Bo Bunny will be hitting the stores soon and you will LOVE it! I was able to play with some of the new "Hello Sunshine" and it makes everything seem so bright! 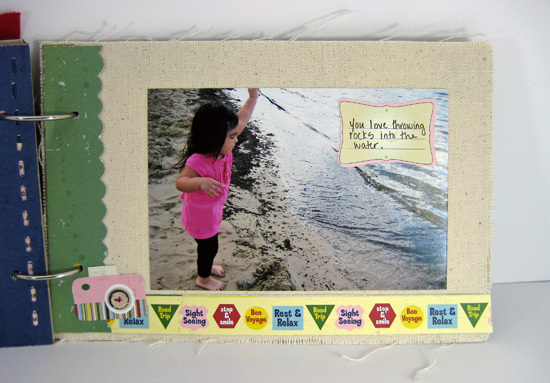 I created this page for the Bo Bunny blog Focus on Trinket post. 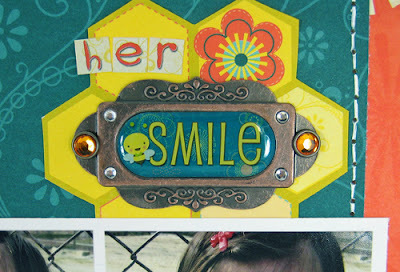 I used the "Hello Sunshine" trinkets for my title the two flowers on the left side. 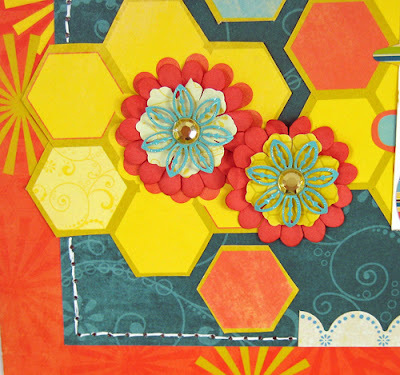 I cut out some of the patterned paper to make my bee hive design along the middle of the page and used a brad for the little swirl behind the bee. You can see some more Trinkets on the Bo Bunny blog. Thanks for coming by! 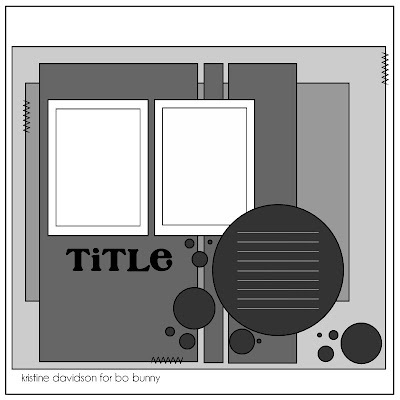 Hi all, I have a sketch to share from the Bo Bunny blog today! There's still time to participate in the Bo Bunny sketch challenge using this super fun sketch from Kristine Davidson of Creative Scrappers. 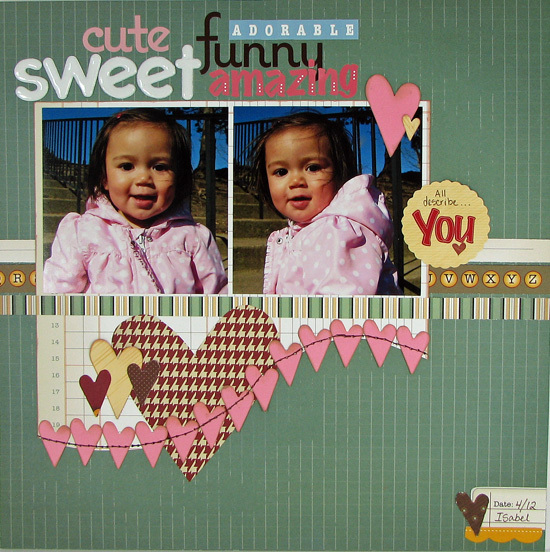 Upload your layouts to the May Sketch Challenge Blog Page- HERE. Here is my take on the sketch using Bo Bunny "Serenity" papers and embellishments and a little "Et Cetera" thrown in there too. Love how this line matches my little peanut's coat!